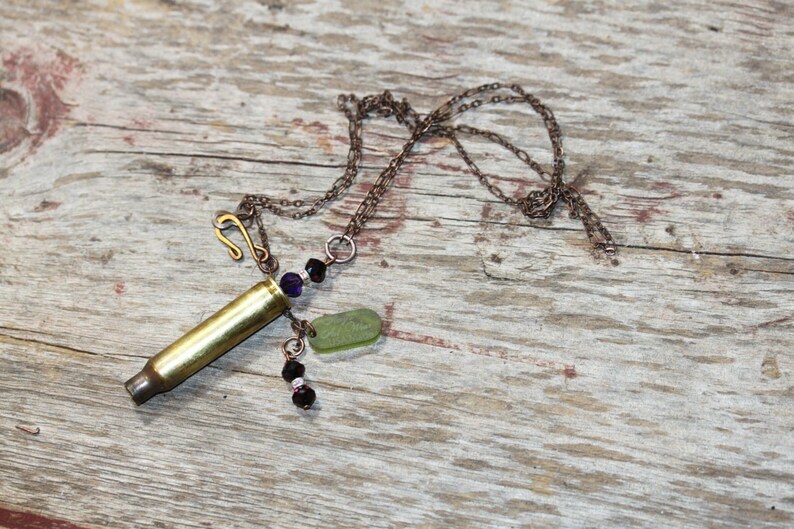 Bullet jewelry necklace featuring Swarovski Crystal beads and copper chain. This necklace is about 13" long from one end of the chain to the closing end. I am not including the length of the actual bullet in this measurement either. This necklace has been designed and put together by my two hands.